Little bit both ways first half. Hopefully we can convert some chances in second. Edging ever closer to Ashley's target position of 17th. That game just about sums up our season. Yedlin absolutely garbage in defence, not enough quality in the final 3rd, no one who can change the game from the bench and points dropped to an absolute shitebag team like Palace who celebrate a penalty taker as their hero most of the season. 15th, 16th or 17th, take your pick, one of them will be ours come the end of May. We made a huge mess of that one I'm afraid. It was almost written in 10 metre tall neon lights above St. James' that the only way they were going to score was from a penalty won by Wilfred "Everybody Picks On Me" Zaha; up steps donkey of the moment DeAndre Yedlin with an entirely incompetent challenge and I'm left struggling to see us win again this season. Let's hope for a few draws, but I think we are right back in the sh*t. The three teams immediately below us have at least one game in hand over us and that seven point gap to Cardiff is beginning to look negligible not least of all because we've lost a game a point from which may have been enough to break their resolve already. Check out the fixtures to the end of the season; it does not look good. 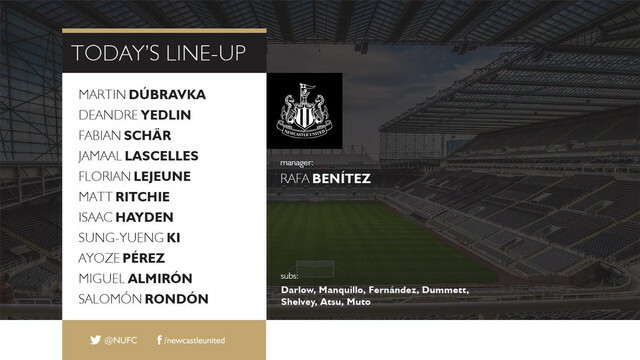 Anyway, it's entirely irrelevant to me because Rafa's on his bike and that's the end of my interest in the entity that used to be Newcastle United Football Club. Was this the United team that beat Man City ..... ffs it's like they're coasting and thinking of their summer holidays .... i could pick out those that still want to win games but you all see what i see and they must all think whats the point .... we don't challenge for cups, league, euro places, we are a club who's owner is quite happy for us to stay in the PL and reep the TV money etc. It pisses me right off. Bad, bad result this one.